Is emotional eating always as "emotional" as it seems? Those of you who have passed through the diet industry will identify strongly with the idea that you are an “emotional eater”. Someone who reaches for food to combat stress, anxiety or sadness; someone who turns to food for comfort, or for whom food is love. Sound familiar? You're in good company. Take a look at these ten famous emotional eaters and their "stories" There’s a whole industry out there determined to prove that you have psychological “issues” around eating and that you are going to have to work hard to make a difference. We say this is a “diet myth”. And we ask you to pause for a minute and tell us why it is so advantageous to the food and diet industry to have you caught up in this thought? 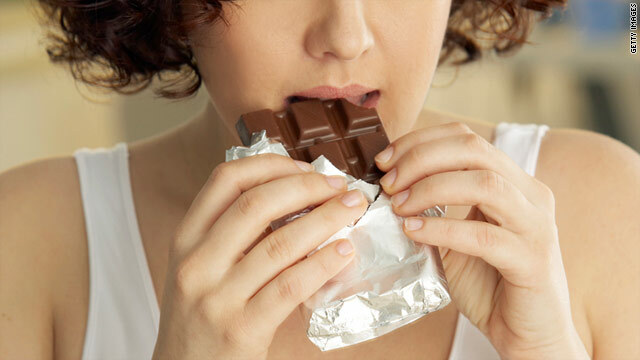 We ask, is emotional eating always as “emotional” as it seems? Let’s take someone who eats a highly refined carbohydrate diet and for whom blood sugar instability is an issue. When blood sugar levels drop, our bodies respond by secreting stress hormones – like adrenaline (the fight or flight hormone) and one side effect of this is increased anxiety…..Low blood sugar levels can trigger mood changes. Low blood sugar levels can cause cravings for those foods that will push sugar quickly back into the blood stream: doughnuts, white bread, biscuits, chocolate and overeating or binge eating is likely to ensue. But WHAT caused the craving? What caused the overeating? What caused the low mood? What caused the anxiety? Was it emotions or was it the drop in blood sugar and the physiological response it triggered in your body? We say it’s easy to write a story around your life that will keep you stuck in a sad place for far too long. Many of us truly believe that we are emotional eaters : the vast majority of us are not. Why do we say this? Because experience has shown that when an “emotional eater” turns to a paleo diet, unstable blood sugar becomes a thing of the past, the mind is calmed and the “emotional eating” issue simply disappears. So the best way to stop emotional eating is to try what we say and see for yourself. You are right, Geneen Roth has cornered the market in "emotional eating" and we could spend a lot of time caught up in suffering and perfecting our story OR we can understand the physiological processes that make us fat! Study our biochemistry, learn a little, understand a little and then make choices that keep us healthy and well. We can get caught up in the branches and weeds by the side of the river or we can let go and truly swim. Quite right, but in order for weight loss to work without exercise you need to be eating only real foods in the right proportions, i.e. predominantly fat, moderate protein and some natural carbohydrate (zero refined carbohydrate). I have often felt that calling it emotional eating was an easy out for docs. I know of skinny (major skinny) folks and family that seriously emotional eat--but it doesn't affect the bodies like the same style eating would affect me. Interesting post. I know it's important to eat purer, more nutritious foods. Many people treat their bodies like a garbage pit, dumping toxic foods into it often. As a therapist, I've also been intrigued by having clients make timelines and noting what was happening in their lives when they first started to gain weight. Usually a great deal of pain in their hearts (figuratively, not literally) has happened at the same time. For example, someone died, their parents started fighting a lot, or divorced, or they had to move and leave all their closest friends. One woman lost 80 pounds and continues to keep it off. I ran into her in a store, and nobody was around so I asked how she lost the weight. I knew that she had lost some in therapy, but she said most of it was due to our counseling sessions. As she worked on her real issues, she became much less prone to using food as a calming agent. Since there are over 400 styles of counseling now available, obviously it doesn't always work this way. But often people who need to lose weight do so as they work on their stories. That said, I totally agree that our society pours junk in it to the point that we are making ourselves sick. Superb nutrition and eating sweets only in moderation is a great plan because if we deprive ourselves, we will end up bingeing. Thank you for taking the time to write. We can live our life through stories but in the end they only limit us and our potential. It is human nature to try and make sense of things, after all but in the end, there is no sense, only life and how we chose to live it! The purpose of the article was to invite one and all to look behind the story and allow for the possibility that there is no story..and that the uncomfortable sensations that prompt us to search internally for a coping mechanism (food for many) are nothing to do with the mind but a bio chemical reaction to the heavily processed foods we eat daily in our diet. Tackle that and our addiction to sugar and you will find that the stories that can dominate our lives will lessen as our bodies finally come back into balance. I agree 100% with this. I used to consider myself an emotional eater, eating when stressed, tired or bored. I was also a chronic overeater and junk food addict (http://is.gd/JLzRNj). I found that as soon as I switched to a paleo like lifestyle, my emotional eating stopped (I haven’t gone 100% paleo because I am vegetarian but I do stick mainly to whole foods). I used to crave sugar about 4 or 5 times a day but as soon as I stopped eating refined sugar, my sugar cravings went away. This is interesting because I had always heard that it takes time to break a sugar addiction. There was no lag time for me. On the very day I stopped eating sugar my sugar cravings disappeared. On the same day, my “emotional” eating stopped and has not returned once. I feel so calm now! It’s amazing! Hello, I just wanted to say thanks for the really great post. I have been very interested with the paleo diet as of late. I played sports all the way through school, and this seems like a diet that is perfect for athletes. However, I have heard that there are some health experts which disagree over how healthy the paleo diet really is. I actually just read a post which discussed this interesting debate in better detail. Hi, thank you for your post. I work holistically with women who want to explore and transform their emotional eating. As a registered nutritionist I completely agree with you that the type of food eaten is an issue - I teach food wisdom with a strong emphasis on blood sugar balance, this is a major part of the story. However there is also a need to explore emotional needs, self-care and self-nurturance. Often women will use food as a way to honour their needs as they have become used to being people pleasers and have forgotten how to please themselves - food is often used to fill that hole. As well as having a masters degree in nutritional medicine I also have counselling qualifications and teach meditation. I think that emotional eating is multi-faceted and complex and needs to be looked at gently on many levels...including nutritional/food. I do think that eliminating simple carbs and sugar can reduce the sugar lows that cause emotional eating. However, I am constantly overeating, especially when I'm stressed out, on healthy food. Even today, I ate a salad and was painfully stuffed by the end. I don't know why I don't stop when I'm satisfied, but I feel compelled while eating to keep taking more and more bites. I am planning on speaking with a therapist about this because right now, eating is my comfort and joy in life, even when it's healthy paleo friendly food. I just want to eat all of the time to the point of pain.